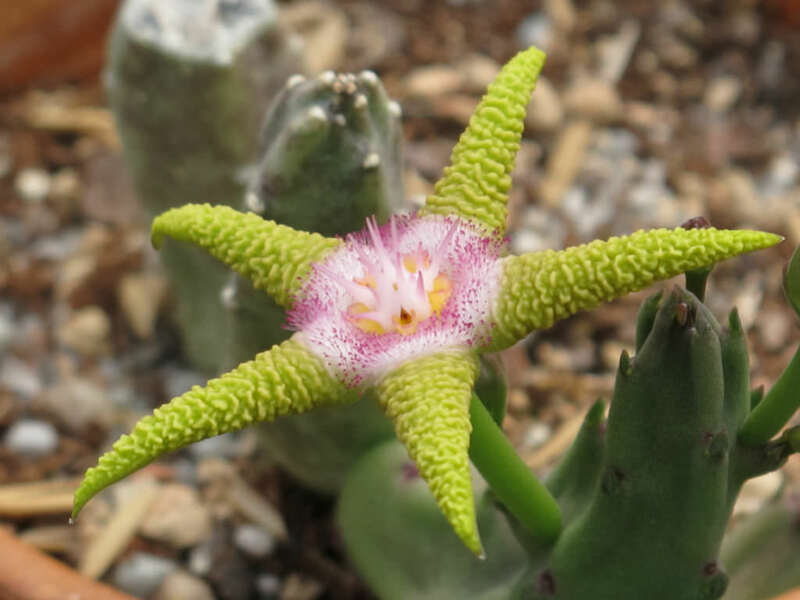 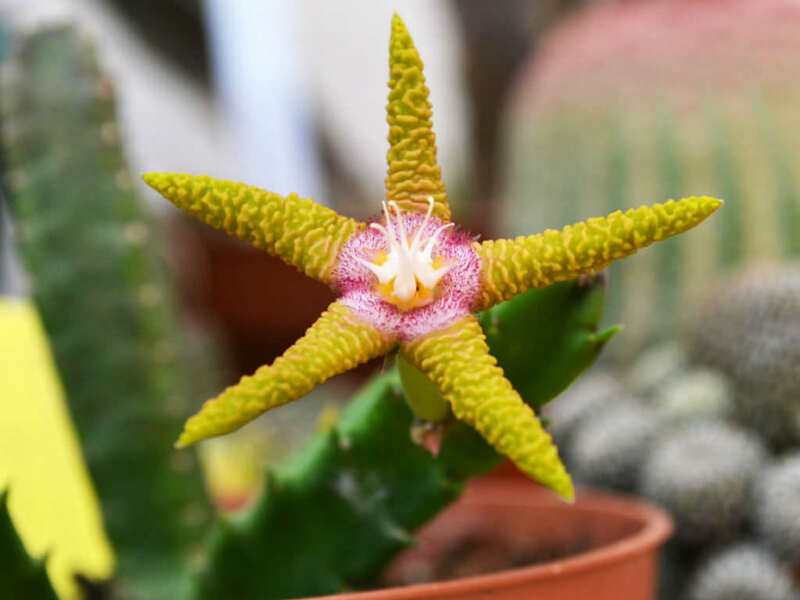 Stapelia flavopurpurea is a crawling and decumbent cactus-like plant with long, green stems that acquire a purple color when are exposed in full sun. 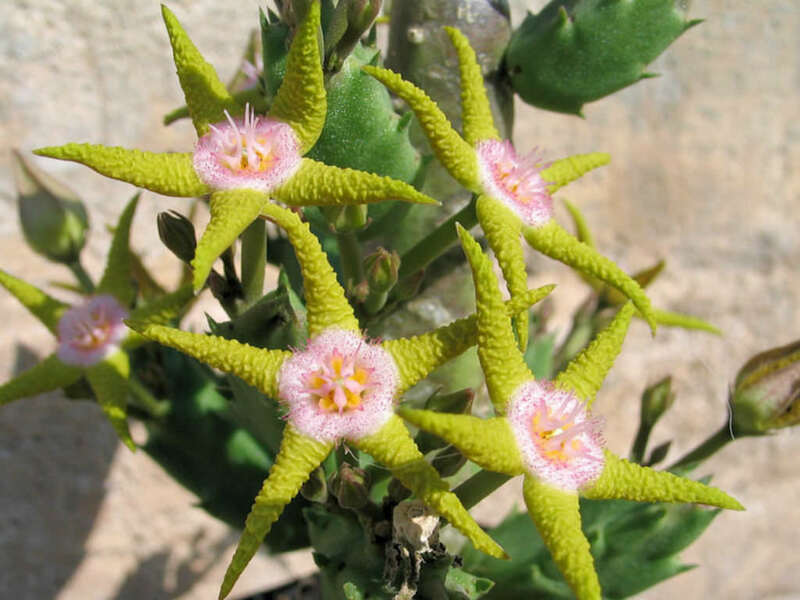 Flowers are little, star shaped and range from a bright yellow to greenish color, with maroon overtones and centers. 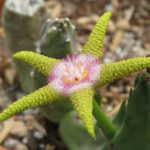 They have a light sweet smell like beeswax, unusual in the Stapelia group. 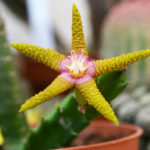 Blossoming generally occurs in summer or autumn, according to the temperatures.